At the recent meeting on April 8, 2019, members approved the 2019-2020 school year calendar attached below for your reference. Thursday, April 11th @ 6:30 pm in the Carver Middle High School Auditorium please join us for a student presentation on The Science Behind Addiction. The AP Biology class will be explaining a new lab the identifies genetic factors behind opioid addiction. Students from the Anatomy classes will also be presenting data from a school wide survey on the use of vapes and e-cigarettes, as well as discussing the long term effects of vaping. Community service hours are available for Carver students who attend the presentation. On Tuesday, April 9th from 8:30 – 10:30 AM, students and staff at Carver Middle High School will be participating in a building-wide evacuation, as part of their continued ALICE training. The Carver school-based team and the Carver Police Department will be facilitating the drill to ensure that our students and staff can effectively evacuate from the building and reconvene at a predetermined rally point off campus. During this time, the school will be in lockdown mode as we practice Alice procedures, and the campus will not be available to receive visitors. Please plan drop offs and pick-ups accordingly. If you have any questions please contact the Middle High School at 508-866-6130 or the central offices at 508-866-6100. This week at CMHS: March Music Madness & Senior Show! An evening of entertainment presented by the CMHS Music Department. Tickets will be sold at the door. Food and drink will be sold throughout the evening. All proceeds benefit the Carver Music Boosters Scholarship Fund! We would love for you, family, and friends to join us for an evening that features and celebrates our many talented music students! Thursday, March 28th at 7 pm. It will take place in the auditorium – tickets are $5 at the door. The seniors would love to see you in the audience. It’s always a great show full of hilarious skits and memorable performances. Favorites that never seem to get old are: You Know You’re From Carver When and Teachers Read Mean Tweets. New this year you will laugh along to the skits Slam Poetry Reading, APUSH, and Please, Mrs. Leahy among others and you really don’t want to miss our talented musicians! We hope to see you there! Friday, March 22nd and Saturday, March 23rd @ 7pm in the CMHS auditorium. All proceeds will benefit Shane Gives Thanks Food Pantry. At the March 11, 2019 School Committee meeting, a motion was made and approved to participate in School Choice enrollment for the 2019-2020 school year. 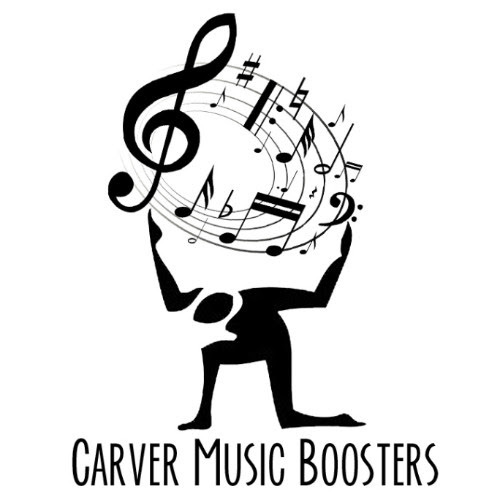 Our next Music Boosters meeting is coming up! Everyone is welcome to attend. We will be planning our Spring events including March Music Madness, Spring Concerts and Night on Broadway. The Meeting will start at 7pm in the CMHS lower library. You are free to drop in or leave at any time. Stay in touch! Visit us on the web, and join us on Facebook. * we meet the first Monday of every month during the school year. Thursday, March 7, 2019 12p – 2p and 6p – 8p. Once again for the convenience of you, our students and our teachers, conference scheduling will be done ONLINE! As always – please do not hesitate to contact us if you have any questions or need any assistance.